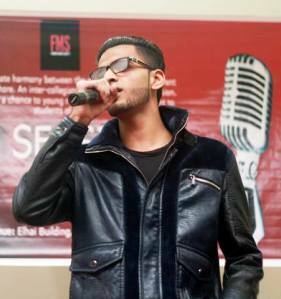 On Friday 7 March 2014, FMS organized first inter-collegiate jam session which consisted of a series of performances by students from various universities and schools of Lahore. 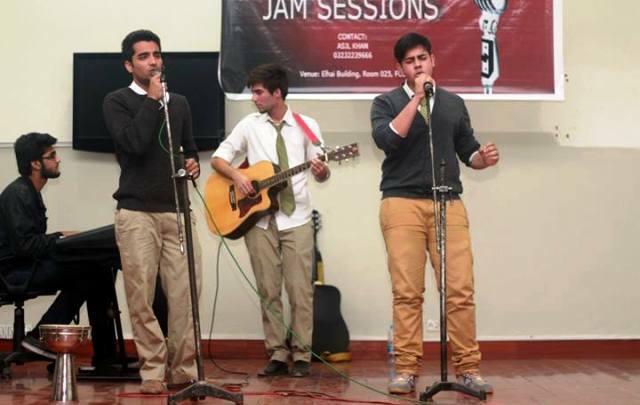 The jam session aimed to create harmony with music societies from different institutions. FMS musicians and students from other universities performed some amazing medleys. The event continued for two hours with a jam pack audience in the hall. Students from Beaconhouse A-levels Johar Town, Beaconhouse A-levels Gulberg Campus, Punjab College, GCU Lahore, UMT and Punjab University were a part of the session. 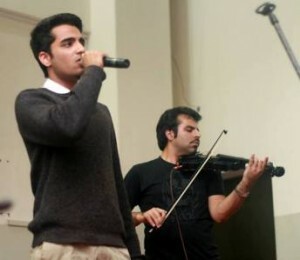 Nescafé Basement II artist Hamza Tanveer also joined FMS on this occasion.